John Zimmerman is an experienced entrepreneur, operator, angel investor and startup adviser. In 2008, John co-founded DataPop, where he was the COO responsible for all product management, engineering, R&D, data analytics and technical operations. He also ran the company P&L, led finance & planning and raised $16MM of venture capital before successfully selling the company to Criteo (NASDAQ:CRTO) in 2015. At Criteo he held various executive roles on the team that is building their new Predictive Search line of business. Prior to DataPop, John held a variety of leadership roles at bellwether internet companies like Amazon.com, Overture and Yahoo. John is currently starting a new company in the education and healthcare space. John also teaches upper division and graduate level classes in the Department of Electrical Engineering and Computer Science at Loyola Marymount University. He developed and taught “The Internet of Things” in Spring of 2017, and introduced a new course on “Technology Ventures” in Spring of 2018. He is also a faculty advisor for capstone projects in the Healthcare Systems Engineering Master Degree program. John is also an active angel investor and startup advisor in the LA area. He's worked with LaunchpadLA, Techstars Cedars Sinai and FoundersCentral at USC. John holds a BS in Biomechanics from LMU and an MBA from USC. In this class you will learn how to turn ideas into new technology products that create value for customers. Tech Startup Topics Covered: Initial team formation, minimum viable product development, tech business model validation, technology startup financing, and scaling technology products. We will focus on products built on complex systems that include software, data, analytics, cloud, hardware, and/or scientific/biotech components. Semester Long Group Project: Students will pitch their new product ideas, then the instructor will select the best concepts & assign founding teams. Over the course of the semester the teams will build an MVP prototype and use it to validate their business model. The final deliverable will be a pitch for seed financing that includes an MVP demo. Cross Disciplinary Class: All students in the College of Science and Engineering, Entrepreneurship Program and the m-school can apply. Each student will have an opportunity to contribute based on their skills and experience. Together we will learn how to work effectively in cross functional teams, deal with fast / ambiguous / rapidly changing projects and develop strong collaboration between business & engineering teams. Startup Careers Development: Students will get an introduction to the LA technology startup ecosystem, learn about tech startup career paths, meet potential hiring managers & figure out how to take the next step in their career. 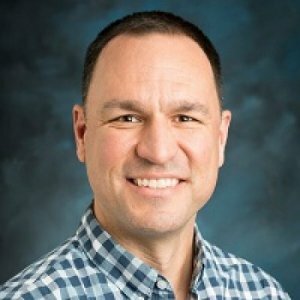 Instructor: John Zimmerman co-founded, built and successfully sold DataPop in 2015 and is now starting a new venture in the healthcare and education space. He previously worked at Amazon.com, Overture/Yahoo and Criteo. He is an active angel investor and advisor to startups in the LA area.